The idea of reviewing spinning fibre is always a little overwhelming because there are so many things a handspinner takes into consideration when choosing fibre to spin. Some want to feel and look at in person prior to spinning, others buy all of their fibre online and through experience learn what they like, and others, like myself, dabble in a bit of both. The Alpaca in this roving is from the American Alpaca Co-op. 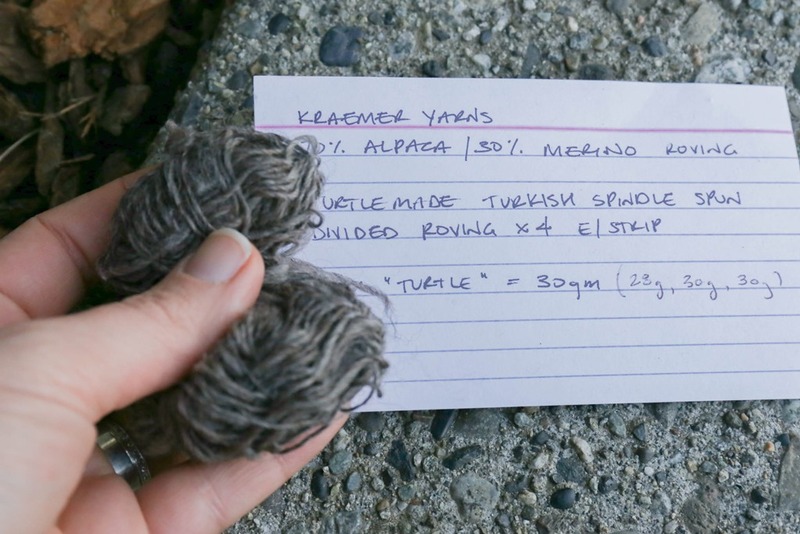 The Merino is US Merino and the roving itself is blended by Kraemer Yarn at their mill in Pennsylvania. I took the opportunity to spin some of the roving on my new Turkish Spindles because I was (and still am) obsessed with them. My plan for this roving, which I am going to continue working on through out the Spring will be a sweater so I am spinning this as a three-ply. It’s round and soft and heathered … and really just lovely. There are some long black guard hairs in the fibre, which are really difficult to remove absolutely every single one in the processing but the lovely thing about long, black guard hairs? They are easy-peasy to see and pull out. It didn’t slow me down in the spinning process at all. After weighing out the 90 grams, I divided it equally into three nests and then proceeded to break each down for spinning. I divided the roving into 4 strips for fine spinning and added enough twist to hold the wool together. I want soft, lofty, bouncy yarn with the stitch definition a 3-ply will give me. It was really interesting spinning this fibre on my spindle. It’s slightly slippery from the Alpaca content and I found (due to my inexperience with spindle spinning) that joining was difficult at first. After a while, I decided to keep breaking my fibre to force myself to keep joining and with a little bit of extra twist, I was able to figure out how to join wonderfully. 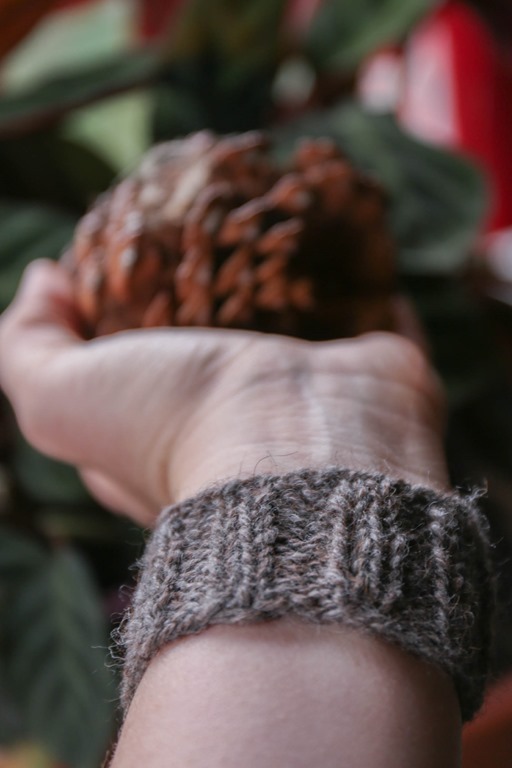 The three-ply was absolutely the way to go – the body of the fibre and the loft after washing, thwacking and drying has created a lovely sweater yarn. I won’t have enough but the Georgetown Cardigan by Hannah Fettig keeps coming to mind! 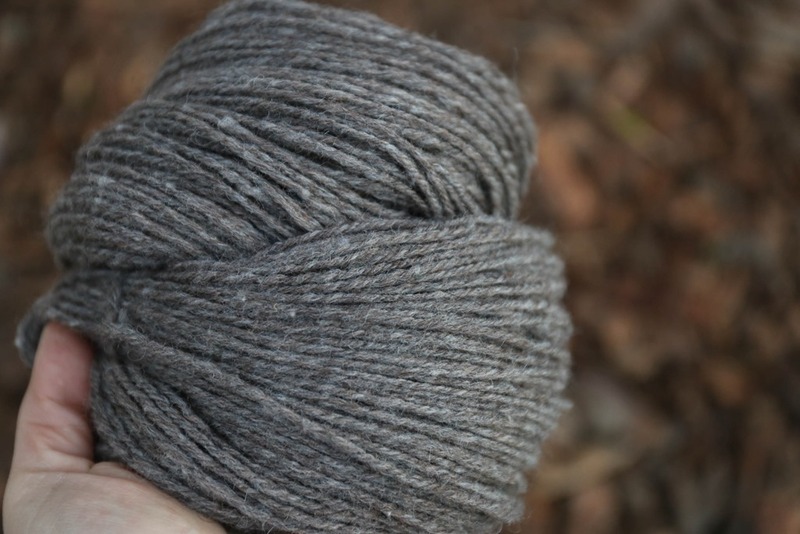 Because the yarn has a slightly rustic feel to it due to the natural shades of the Alpaca and Merino, I’m dreaming of something with a shawl collar to cozy up in. As you may know, the natural shades (particularly of grey) will steal my heart absolutely every time. Every time. The reason for this is actually completely because I have a lot of projects on my spindles and wheels right now and … nothing to knit! I am almost finished my Pommier vest and I’m looking forward to another sweater, which will be this one! I have miles and miles of singles to spin first but the way this spun up on the spindles? It’s going to fly! Because fibre spins up in different ways, a 70% Alpaca blend should be amazingly warm. 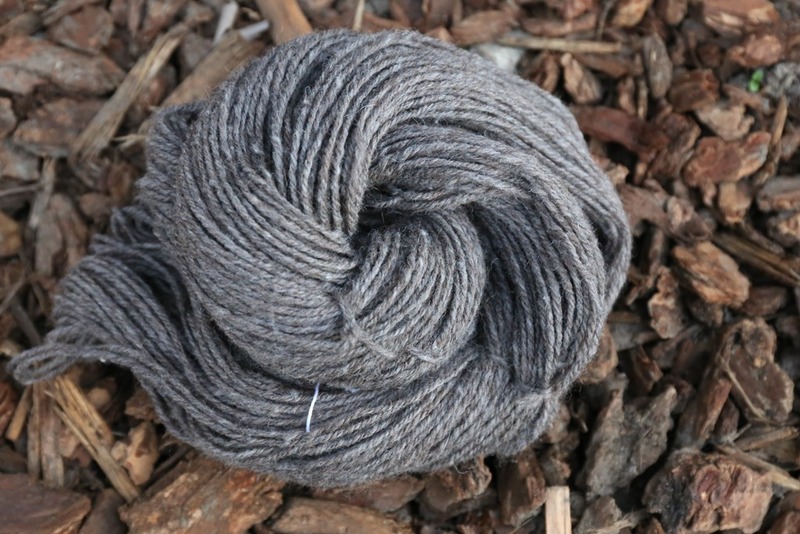 I am curious about the wear of this yarn after knitting since I am not spinning a particularly high-twist yarn. One of the questions I sometimes find myself asking includes, Is it worth all the effort to spin this in this way? I sometimes wonder about whether the wear and tear I place on my sweaters is worth my spinning and knitting time! The answer? Read on! My dear friend, Diana, has come up with a BRILLIANT solution to this question – with very practical application as well (see below). I’m hoping she will be able to write a blog post eventually, chatting about these in more detail, but I decided to ‘swatch’ this yarn as a wrister*. 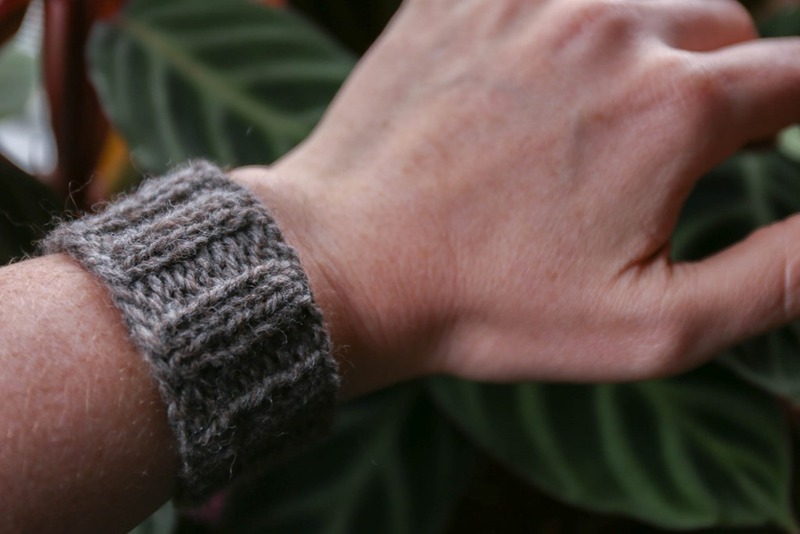 * Wrister is defined here as “a warm knitted covering for the wrist” for those who haven’t heard this term before! Because I’m not completely sure what this yarn will result in once spun up and I plan to do a proper gauge swatch at that time, I thought in the meantime, evaluating the wear of this yarn would be interesting. Wristers are constantly being abraded on clothing, surfaces and skin, and getting wet from handwashing and lets face it, life in general. It’s a wonderful way to evaluate a yarns’ wear and tear threshold – and the best part? 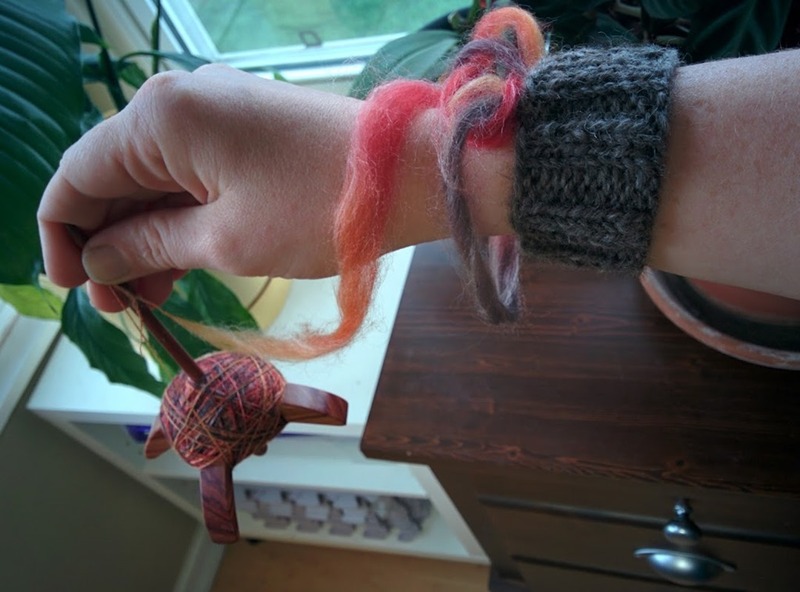 I don’t have to remember my elastic bands for my wrist anymore when I’m spindle spinning! These hold my fibre perfectly! 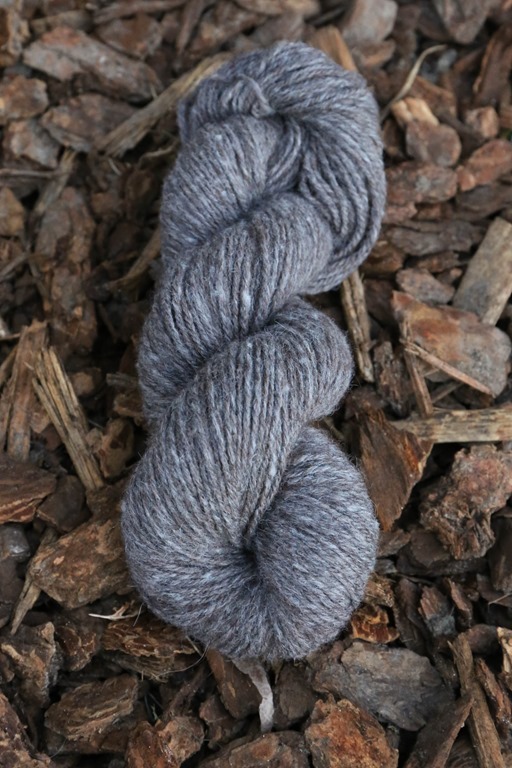 And to be honest, I have my eye on the brown colourway of this same roving. You all know how much I love natural brown – almost as much as natural grey. Almost. Do you buy fibre online? Raw, processed, dyed, handpainted? What fibre are you most interested in? 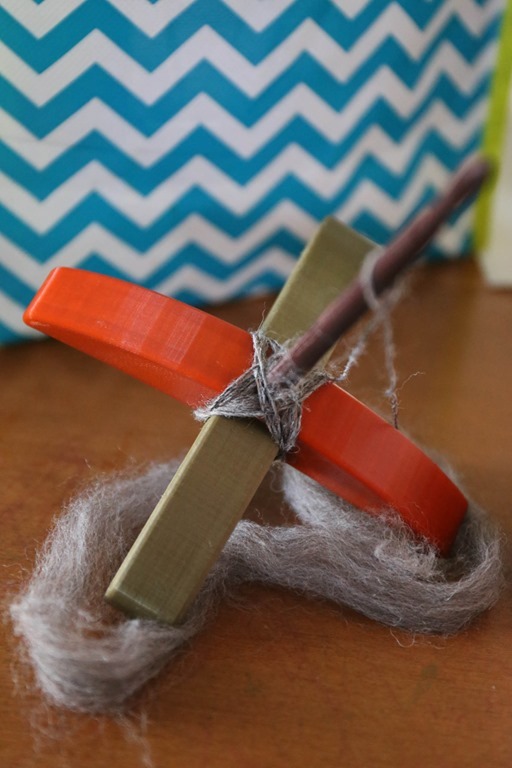 Previous Post Spinner Spotlight :: Jessanne S.
Question – did you ply on your spindle? Your yarn is just gorgeous. I am with you on the train of having no desire to add another braid to my spinning stash. I likewise like larger quantities. 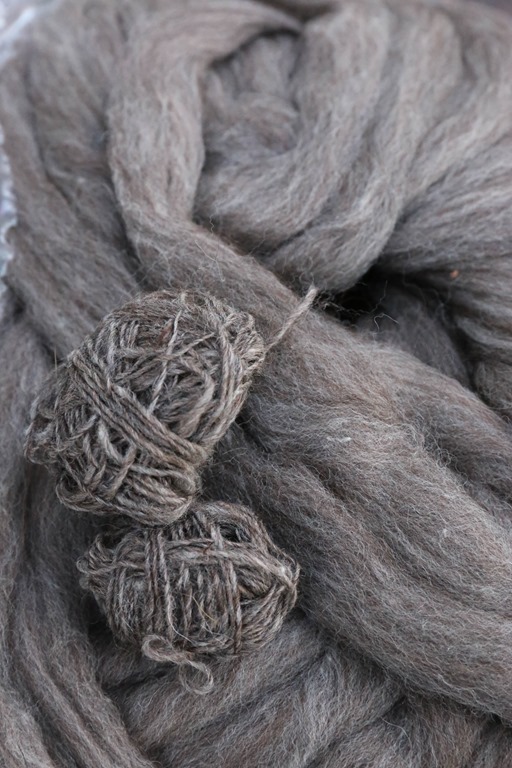 I have some fleeces and some larger quantities of dyed fiber from different sources. Exactly so Rachel! I am impressed at your spindle skills!! I am not proficient at all with a drop spindle, but you are inspiring me to try. Thanks for your posts – I am learning so much! I find coming back to spindle spinning after wheel spinning meant there wasn’t as large of a learning curve. Keep practising :) you know what the hardest part for me was coming back to a spindle? It was figuring out where to put my hands! That wrister idea is brilliant! What a great way to wear a swatch. And with it doubling as a makeshift distaff it is extra perfect for spindlers. I would love to see a blog post about it with more details. Your grey yarn is yummy looking. I too go for larger quantities these days and I have a bag of grey Gotland that is calling my name after I finish with the Jacob currently on the spindles. What is it about grey? I fall for it too, every time. Lovely yarn! Love the color and it will make a gorgeous sweater! Kraemer Mill is about 45 minutes from my house! So I was excited when you said you were reviewing it. Can not wait to see how it turns out! Lucky lucky you!! They seem like amazing people! The yarn looks lovely! Making a wrister is a great idea. I could see it working well for a non-spinner too (such as myself). It would be a great way to try out how a yarn or fiber blend feels over time when worn, as well as how the fabric and gauge change with wear. Thanks for sharing! Hi Rachel, I had a friend who knitted a sweater from Alpaca and she had a hard time with it. It stretched and grew lengthwise and it was hard to seam. Maybe yours will be easier with the wool in it. Make sure you put some weight on the wrister to imitate gravity pulling on it. 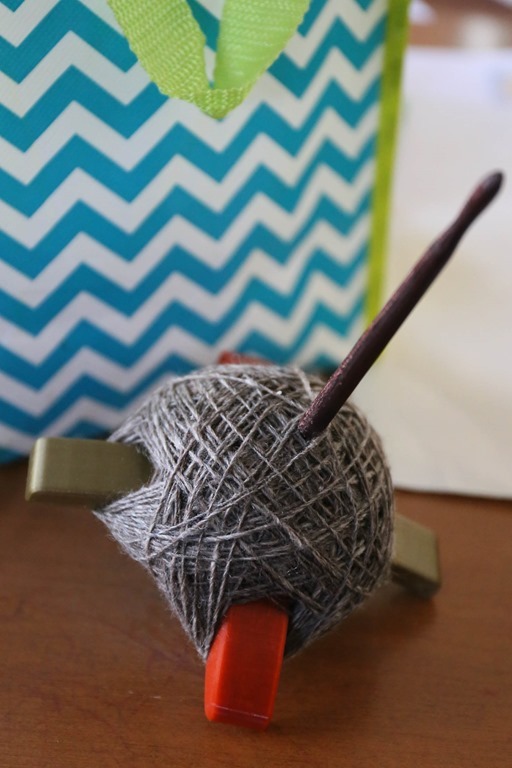 Wishing you a fun and easy spin and knit!